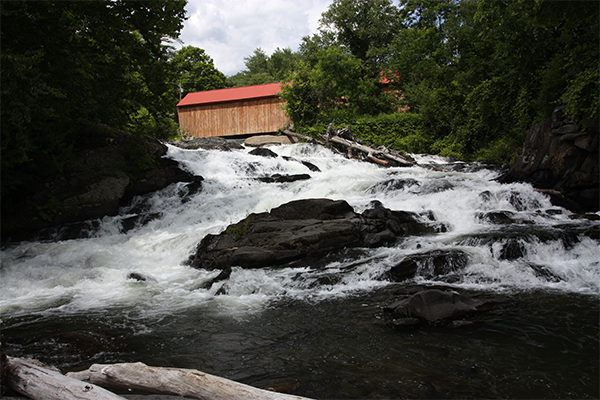 Covered Bridge Falls, or Thetford Center Falls, as they are also known, is, as the name suggests, a waterfall that neighbors a covered bridge. The bridge, which is approximately 50 feet in length, sits just above this 25-foot chain of cascades in the town of Thetford. 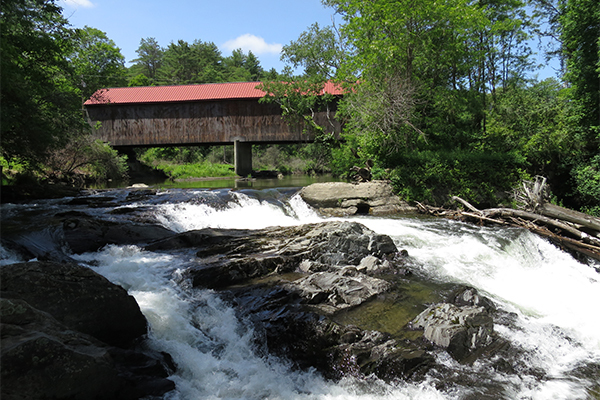 If its location were more publicly disclosed, these falls would certainly receive more attention from painters and photographers, as the waterfall and covered bridge create quite an artistic frame. 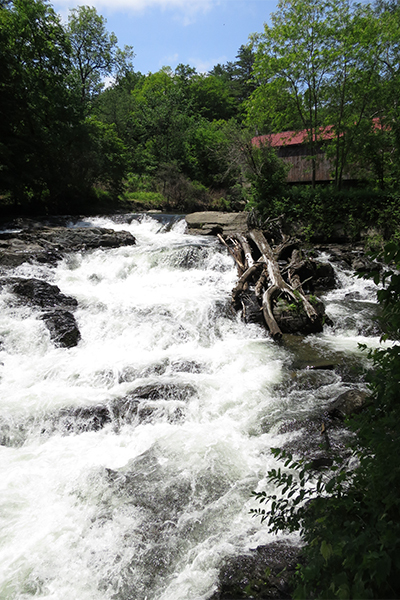 The falls begin only 50 feet downstream from the covered bridge. There's a short trail on the opposite (west) side of the river that offers a fairly good view from close to the midpoint of the cascades. This path is heavily used and although there's a chance that it crosses private property, it appears as though the general public is welcome at this point in time. Alternatively, you can bushwhack downstream on the east side of the river right from the parking area. On past visits, his trail has ranged from slightly overgrown to excessively overgrown. If you don't mind pushing through some potentially thick brush, the views are also good from this side of the river. From White River Junction, take I-91 north to exit 14 in Thetford. Take VT 113 west for 2.2 miles and take a left onto Tucker Hill Rd. 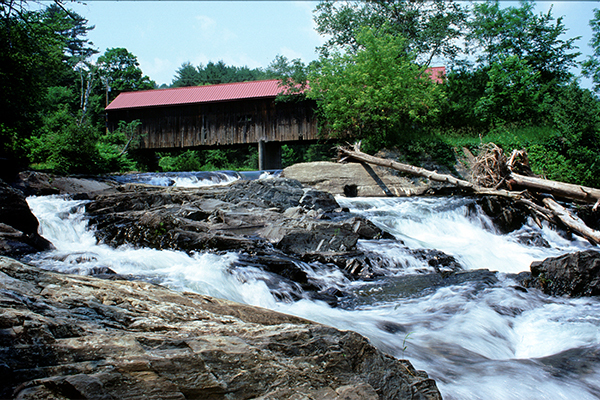 Follow Tucker Hill Rd for 0.25 mile and park in a pull-off on the left just before passing through a covered bridge.